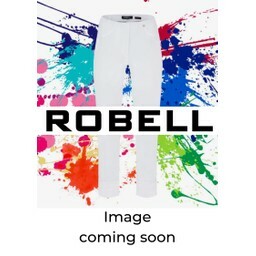 Robell Rose full length trousers are a super slim cut that feature a smooth elasticated waistband. 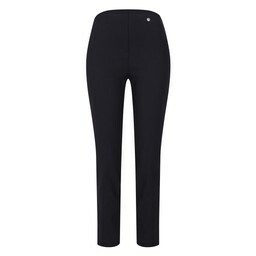 Rose trousers have a seam running down the back of the leg as well as a small vent on the back hemline. 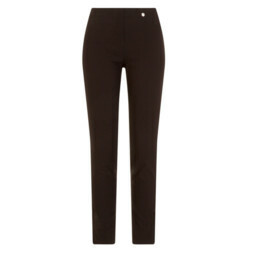 At Lucy Cobb we stock all the core colours in Rose full length trousers. Rose trousers are a neat fit that sits close to the leg from thigh to ankle. 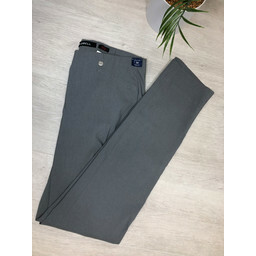 If you like a tight fitted trouser we recommend trying your usual trousers size, if you prefer a slightly looser fit, try one size bigger. 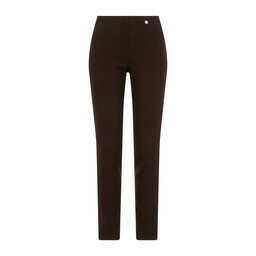 Rose trousers are designed for ladies who, whatever size they are, have slim legs and carry their weight on their tummy.